RELATIVE calm had been established at the South African gold mines of Sibanye-Stillwater where a strike was called by the Association of Mineworkers & Construction Union (AMCU) on November 21. The company said in a statement the atmosphere on the mine was “tense”, but that there had been “… a noticeable reduction in levels [of] violence and intimidation, and an increase in the number of employees reporting for work”. This was after the company secured an interdict against AMCU which endeavours to allow non-striking workers to turn up for work without facing violence and intimidation. In the case of Gold Fields’ strike at the nearby South Deep mine, an interdict failed to have an impact, but that doesn’t seem to be the case at Sibanye-Stillwater. 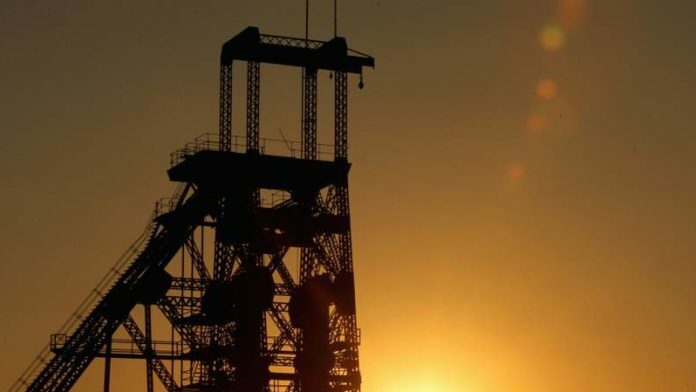 An employee was killed and others were injured in a protest at Sibanye-Stillwater’s Beatrix mine in the Free State province on the first night of strike activity. The company subsequently suspended night shifts, but said it would press ahead with day shifts provided there was a reasonable turnout of staff. Sibanye-Stillwater also said it had spoken to the unions – including the National Union of Mineworkers – regarding a peace pact which would “… formally commit all parties to taking specific actions to maintain peace and stability at Sibanye-Stillwater’s operations”. “The extent and violence of the incidents which occurred between union members on Wednesday evening, is of grave concern for Sibanye-Stillwater’s management, and a meeting with all the unions was called today, in order to collectively address the hostilities,” the company said. “The safety of all of our employees is our first priority and the situation will continue to be monitored over the course of the weekend. We welcome the increased support of the South African Police Service in ensuring the safety of all our employees,” it added. Sibanye-Stillwater currently employs approximately 32,200 people at its South African gold operations at which AMCU represents about 43% of employees in the bargaining unit. The strike comes after AMCU refused to sign a three-year wage agreement, even though it was instrumental in constructing it. “Despite numerous attempts by Sibanye-Stillwater to reach a fair and reasonable outcome with AMCU representatives since the negotiations began in June, and despite having participated in the construct of the final offer, AMCU declined to accept the offer,” the company said previously. Joseph Mathunjwa, president of the AMCU, said in a press conference on November 21 that he intended to widen the strike which also doubles as a protest against proposed job losses at Lonmin, the company Sibanye-Stillwater is taking over. Any companies that have a ‘footprint’ with Sibanye-Stillwater will be affected, Mathunjwa is quoted to have said. “This is not a threat,” he added. Lonmin already announced plans to reduce its workforce by 12,000 as economic mining at its generation one shafts cease, most likely over the next three years. Some 2,000 miners have been retrenched this year. Sibanye-Stillwater welcomed a Competition Tribunal approval of the merger which also called for a six month moratorium on further job losses at the Lonmin operations. And AMCU is part of the “peace pact”?